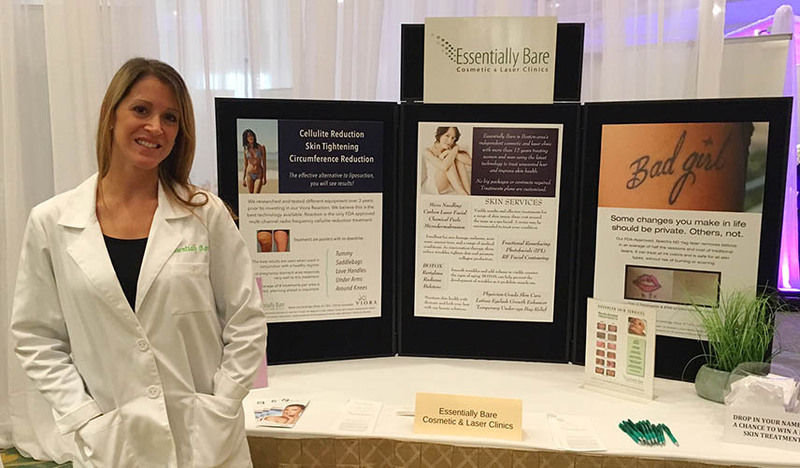 Essentially Bare opened in Cambridge in 1999, when laser hair removal technology became available to consumers. Over the years, we expanded our service offering to provide advanced skin clarity and correction – from physician-grade microdermabrasion and a range of chemical peels – to new laser technologies for face and neck rejuvenation, body skin tightening and the treatment of chronic skin conditions such as melasma and rosacea. The lasers we use for IPL (pulsed light), fractional resurfacing, and carbon laser (Spectra Peels), laser hair removal and tattoo removal are Class 4 medical devices. We also offer electrolysis as another option for hair removal. Essentially Bare has been working with neurotoxins such as BOTOX, and dermal fillers for more than 10 years. Our practice has always been overseen by a physician, and our experienced N.P.s and R.N.s were trained at Medical Aesthetics Associates (MAA) by Dr. Joseph Russo, Board Certified and Harvard-trained Plastic Surgeon. At our main location in Cambridge, we have free parking and are accessible by public transportation. We are convenient to Belmont, Watertown, Arlington, Somerville, and Waltham. We have a faithful clientele who also travel from a greater radius. Our satellite location in Boston’s South End, is also conveniently located at the corner of Clarendon and Tremont streets. When we invest in a new laser or offer a new service, it is only after intensive research and equipment testing. For example, we spent 5 years monitoring skin tightening and cellulite reduction technology, and testing best-of-class equipment before investing in a laser offering this service to patients. Essentially Bare clinicians are trained using manufacturer guidelines and protocols , and they receive ongoing training. It is Essentially Bare’s policy to not offer big, prepaid packages. Every person’s skin and hair reacts differently to treatment. During your initial consultation, we will give you an honest assessment and expectations. We may offer a combination of treatments or a limited package based on the minimum amount of treatments you will need. Why pay up front for sessions you may discover aren’t necessary? Pre-selling a big, set amount of treatments you may not need or will not use is not something that we agree with. It is in our best interest (and yours) to treat patients in the most effective way, and use the best equipment to do so, because our patients often return for further services and recommend us to others. We want you to be satisfied with your treatment and the results. For some services we offer, such as vascular correction, Rosacea, chronic melasma, acne scarring, etc. we may recommend a combination of treatments, depending on your individual circumstance and desired results. For any skin health plan, we will customize it based on what we believe will be most effective in treating your specific condition(s). For example, we may suggest a series of microdermabrasion with photofacials/IPL treatments. We may recommend a spot fractional resurfacing treatment or microneedling in combination with a chemical peel. At the time of consultation we will determine pricing for your customized plan. Please call us with any questions you may have about the services we offer, or if you prefer, email us with questions.